While workers have embraced mobility, firms need to ensure that their business apps work on users’ devices. Smartphones have become a necessity for users in the modern workplace and have transformed how work gets done. Users today are more mobile than they’ve ever been before. But while mobility is transforming businesses, many still need to grapple with the best policies and solutions to harness the growth of smartphones and tablets in the workplace — regardless of whether they are bring-your-own-device or employer-provided devices. Check out the data points below for more insights on mobility and mobile apps in the business world. 1. Users are doing a large amount of work on their mobile devices. 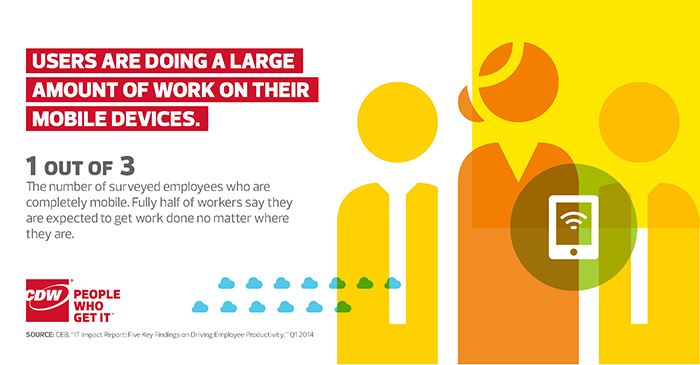 Additionally, four of five users surveyed say they spend at least some part of their time working outside the office. 2. 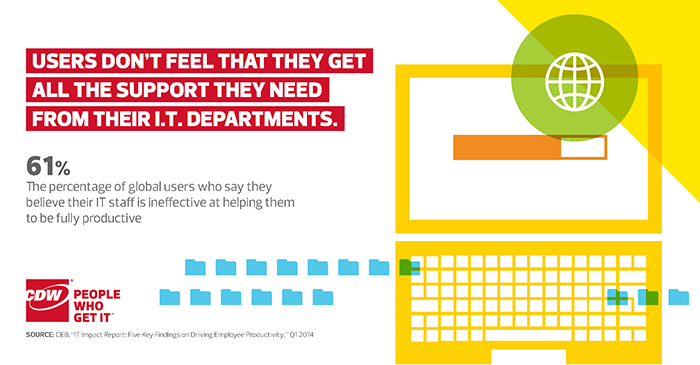 Users don’t feel that they get all the support they need from their IT departments. According to the “2014 Secure Mobility Survey Report” from Dimension Data, 79 percent ranked mobility as a high or midlevel priority. Businesses are reaping the benefits of users going mobile but often do not have a battle plan for how best to harness this development. 3. 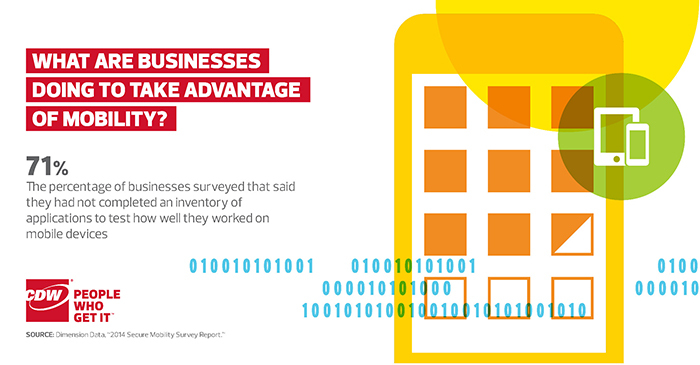 What are businesses doing to take advantage of mobility? Meanwhile, only 39 percent surveyed said they could access all critical applications on their personal mobile devices to do their jobs. Ultimately, however, 79 percent of those surveyed said they believe mobility increases user productivity. 4. 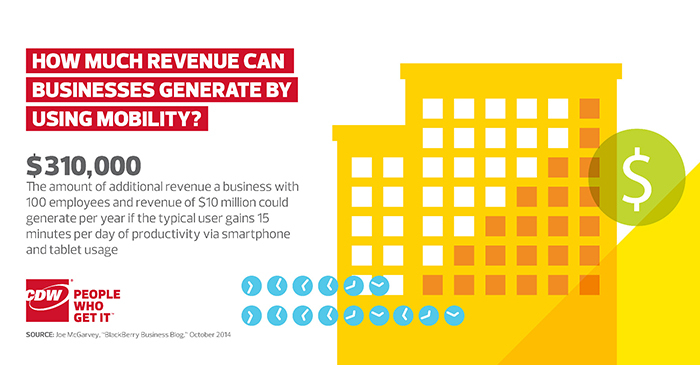 How much revenue can businesses generate by using mobility? Joe McGarvey, an enterprise mobility strategist at BlackBerry, acknowledges that it’s difficult to calculate potential revenue generation from the mobilization of critical business processes. “In addition to boosting worker productivity and efficiency, fully exploiting the potential of mobility is expected to lead to the introduction of innovative services and products, as well as attract new customers through improvements in competitive positioning,” he says.